The Advertising Cloud, which makes its debut at the annual Adobe Summit in Las Vegas, comes off the back of the vendor’s US$540m acquisition of video programmatic adtech provider, TubeMogul, last year. It’s being pitched as the industry’s first end-to-end platform for managing advertising spend across both linear TV as well as digital formats, and incorporates Adobe’s Media Optimiser DSP, search and dynamic creative optimisation (DCO) capabilities. Specific functionality includes cross-channel planning and TV and digital audience data de-duplication, plus media activation leveraging existing Marketing Cloud data sets. Existing customers using Adobe technology to manage advertising spend include Kraft, L’Oreal, Ford, MGM and Johnson & Johnson. Former TubeMogul CEO and now VP of general manager of advertising at Adobe, Brett Wilson, said the platform creates a firm link between martech and adtech, allowing brands to combine and personalise their below-the-line and above-the-line efforts. “We are bridging longstanding gaps - not just between TV and digital, but also between brand and performance marketing,” he said. In a reference to Google’s dominance as both a media publisher and advertising platform, Wilson was also quick to point out Adobe Advertising’s independence as a platform. Advertising Cloud will be available to brands and agencies and is rolling out globally from this week. Commenting on the significance of the new platform, IDC research director for marketing and sales technology, Gerry Murray, said Adobe’s latest platform will benefit brands wanting to bring some of their digital advertising in-house. He expected it to appeal particularly to larger brands with big ad budgets “who have serious complaints about the transparency and performance of their outside agencies”. “It will also make it easier for brands to link ad ops and marketing ops so they can better coordinate the creative and deliver better continuity across channels,” Murray told CMO. Advertising Cloud will sit underneath Adobe Experience Cloud, a new umbrella term the vendor is introducing to describe its full suite of cloud services for addressing customer experience interactions. The Experience Cloud also incorporates Marketing Cloud, Analytics Cloud, as well as Creative Cloud Enterprise and Document Cloud Enterprise. In a press briefing, Adobe director of product marketing and strategies for Adobe Target, Kevin Lindsay, said it’s clear experience requires a business-wide approach to succeed, and that it goes beyond marketing. “Every business we talk to today is looking at how they expand that experience and relationship into every aspect of the business, even deep into the product experience itself,” he said. “With many companies we work with, the product has transformed dramatically. An app isn‘t just for shopping in many cases, it’s the product itself and the experience our clients are giving to their customers. New business models are being created, and digital plays important role in the middle of those models. Murray agreed marketing experience is not reflective of the whole customer experience. It was therefore important for Adobe to extend its technology reach to other departments influencing CX strategies and delivery. Principal of Raab & Associates, David Raab, was less impressed by the news although he agreed it helped Adobe tell a more unified story. One of the ways the vendor plans to achieve this is with its Microsoft alliance. First struck in 2015, the alliance was designed to the Adobe platform with core Microsoft offerings including CRM, business intelligence and cloud-based services. Joint solutions released this week include Adobe Campaign manager with Microsoft’s CRM and ERP platform, Dynamics, and Adobe Analytics and Microsoft Power Business Intelligence, helping to bring behavioural data into campaign measurement. Adobe Experience Manager and Azure have also been integrated to help users better personalise Web experiences and manage content across screens, an integration that’s being supported through managed services and support. The pair have also agreed to work together on a new open industry standard, the name of which is to be confirmed, based around a common data language for sales, marketing and service data. The latest integrations should help Adobe to shore up its position against the more enterprise-oriented software providers building up their Marketing Cloud might – notably, Salesforce, IBM and Oracle. But while deals such as those struck with SAP and IBM look good on paper, Murray said time will tell whether Adobe gets what it wants out of the Microsoft relationship. “Microsoft is a big Adobe account and can lend a lot of technical and market power. But Adobe has got to take this partnership by the reigns and drive it otherwise it may not get the traction they need,” he said. 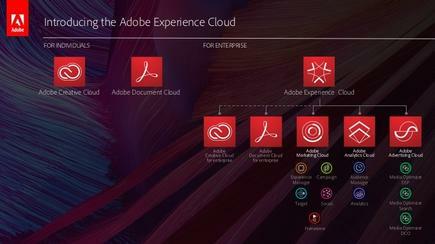 Adobe hasn’t forgotten the wider ISV community, either. Last year, the vendor launched I/O, a set of APIs allow customers and partners to write against Adobe APIs. Latest partners to join this ecosystem include Clicktale, Decibel Insight, Ooyala and AppDynamics. Adobe is also launching a number of enhancements to its core cloud platform this week, most notably machine learning capabilities delivered through its Sensei artificial intelligence framework. Sensei, which debuted last year, sits underneath all cloud offerings as a shared capability and is being used for more than 100 features such as intelligent alerts, automated advertising insights, lookalike modeling and contribution analysis. 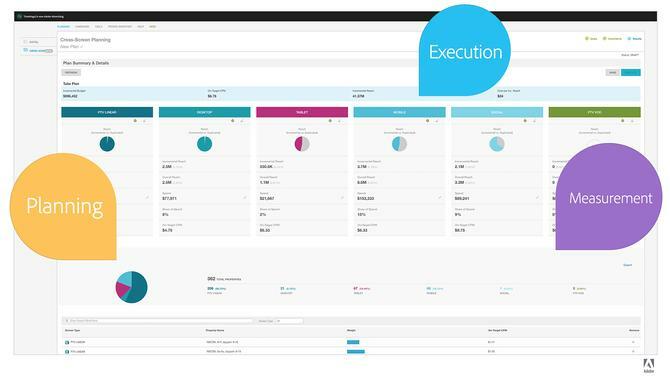 Latest capabilities include ‘fluid experiences’, to support delivery of experiences across connected screens through Adobe Experience Manager; one-click personalisation in Adobe Target; and enhanced anomaly detection and contribution analysis in Adobe Analytics. Integration also continues between applications at the execution layer. These include a new integration between Adobe Campaign and Dreamweaver, enabling designers to create emails in Dreamweaver that are automatically synched with campaign, along with integration of its Adobe Experience Manager digital asset manager with its Premier Pro Creative Cloud application to automatically identify and synchronise content across clouds. Adobe Marketing Cloud generated US$1.63 billion in revenue for the vendor in the 2016 financial year. It’s now processing 100 trillion transactions per year, compared to Google’s 200 trillion, and represents $3.5 billion in managed ad spend annually. The Marketing Cloud consists of Experience Manager, Campaign, Target, Social and Primetime, while Adobe Analytics incorporates both analytics and Audience Manager.